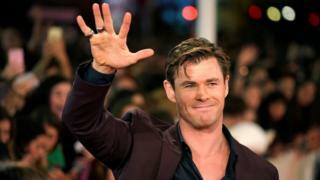 Australian actor Chris Hemsworth surprised a hitchhiker by giving him helicopter ride to a surfing spot. The Thor star posted an Instagram video of himself and friend Luke Zocchi picking up US musician Scott Hildebrand in Brisbane, just arrived from Mexico. Hemsworth and Zocchi had spotted the musician after arriving in the eastern city of Brisbane, and decided to offer him a lift.